News: Promoting Women at Work: A Problem of Planning? Promoting Women at Work: A Problem of Planning? While corporate leaders are keen to drive diversity and claim to make great efforts to ensure the promotion of women at work, there are barely any strategies in place to make it work. Monday saw the release of the study, Advancing Women as Leaders in the Private Sector, by the Canada-US Council for Advancement of Women Entrepreneurs and Business Leaders and it paints a picture starkly different from what many business leaders propound and broadcast. Most corporate leaders today could talk at length on how deeply they believe in the need to drive gender diversity, to create a level playground, to shatter the infamous (yet sadly ubiquitous) glass ceiling and to ensure the growth of women at work but there seems to be a lot lacking behind the buzzwords and bravado. Human resource executives point towards a deplorable dearth in strategies to enable the transformation of these slogans into reality. According to the research that surveyed 400 HR leaders in the US and Canada, a mere 40 per cent of companies in the US have actionable strategies in place for the advancement of women to senior leadership roles. Canada scored an even lower 36 per cent on the same domain. 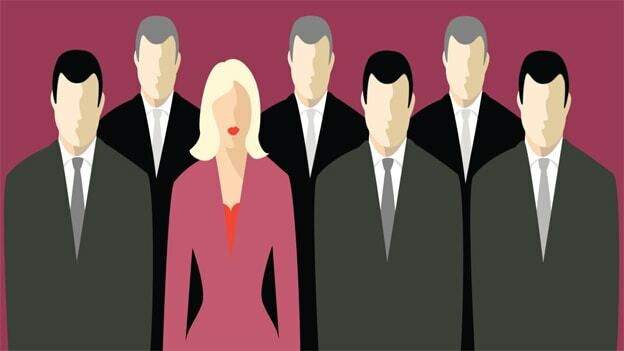 Moreover, both countries seem to have scored less than 50 percent (US at 41 per cent and Canada at 44 per cent) when it came to having action plans to hire more women at the entry level with the vision to meet senior leadership role gaps in the future. Besides these surprising figures, what stood out was also the fact that more than 50 per cent of the companies surveyed lacked measures and tracking systems to analyze the factors that lead to the success of women at work. It is no wonder difficult to put systems and processes in place for the professional growth of women leaders without a clear understanding of the factors and catalysts that affect the same. Whether it was data and statistics on the recruitment of women, retention rates post maternity leave or the level of attrition, less than half of the survey sample, seemed to be making use of the numbers. With regard to having a proper data pool for the differences in pay by gender, a little more than 30 per cent of the companies in the US could vouch for it. Julie Sweet, Chief Executive Officer of Accenture North America, who was a part of leading the research, was of the opinion that, “Companies' efforts have been so lackluster that once CEOs start dedicating meaningful resources to diversity, change could happen fast. By simply putting in the basic elements of business priorities - a vision, leadership accountability, measurements and an action plan - we believe that companies will be able to make progress pretty quickly". There thus seems to be the possibility of a silver lining – a crack in the glass ceiling. Change could be affected quickly once the ball is set rolling in the right direction but there still seems to be a need to ponder, plan and persevere through the dark clouds till the sun shines brightly on women leaders.